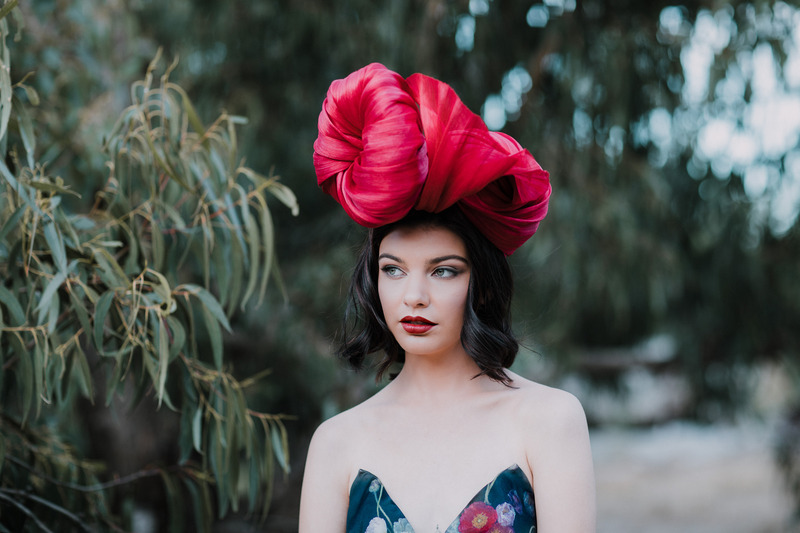 The millinery forecast for this upcoming Spring Racing Carnival predicts that large hats will be super popular. While they look fabulous, they’re really impractical. Those who wear them will be dodged by others, unable to hug their fellow fashionistas without having to take their hats off and will probably be holding onto them for the duration of the day if the wind picks up! We did see many large hats last year, and luckily the weather was kind and allowed the wearers to keep their hats firmly on their heads. On the upside, large hats provide nice shade when the sun is blaring down. You’re going to see the oversized straw hats, boaters and Dior-like hats making a grand return. There’s also modernised fedora’s with bigger brims and taller crowns. Although I’m not a fan of blocked hats, I’m really tempted to make one for myself! 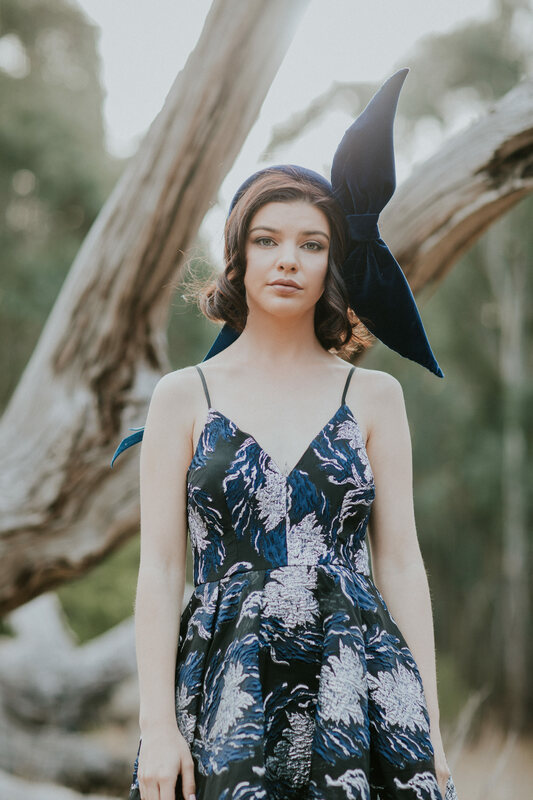 If you’re one of the fashionable ladies out there who still prefer a more practical piece to adorn your heads, choose the ever popular turbans, crowns, headbands and sculptural pieces. 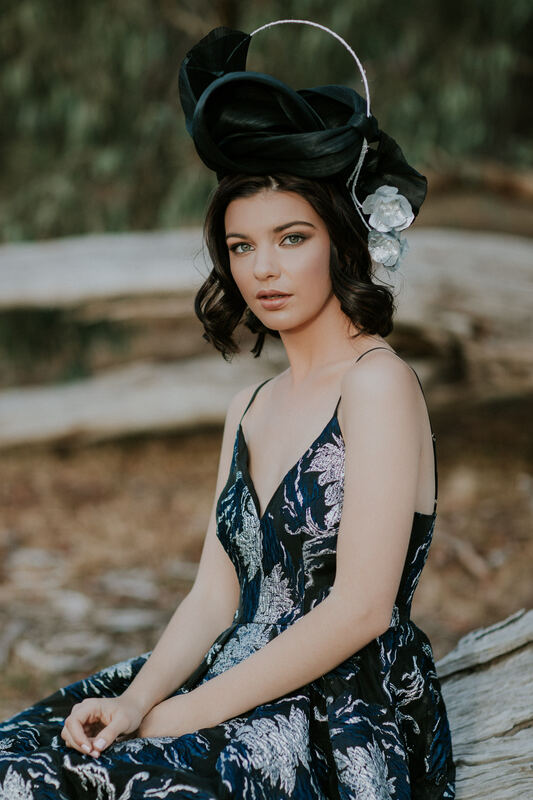 This year, there are more choices than ever when it comes to headbands and crowns. Most milliners will stock them as they are the most practical and easy wearing headwear choice. The tear-shaped percher will still be a favourite for some, but it’s had it’s time and is slightly out-dated now. Opt for something a bit more modern or go classic for a change. The embellished baseball caps, berets and cowboy hats have been hitting the runways for Versace and Dior. It’s amazing what a bit of gold or silver bling can do for a plain baseball cap! 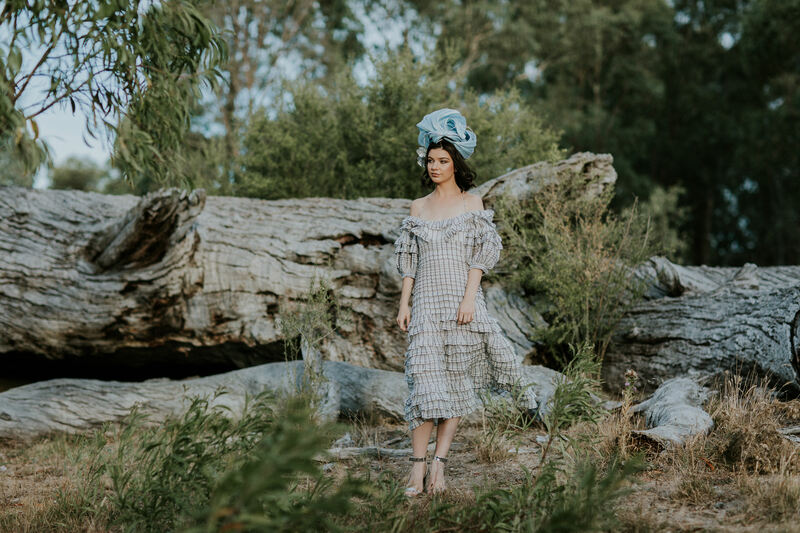 Chanel went practical and created a rain-proof bucket-meets-boater style option – such a handy piece for Melbourne’s unpredictable weather.